It’s a case of ‘mission accomplished’ for a mid-Wales couple whose clear glass balustrade supplied by Balcony Systems has created the ideal safety solution for their elevated patio area while preserving far-reaching views across open countryside. 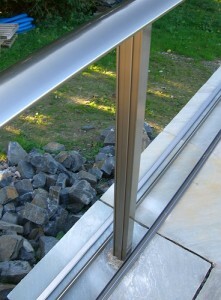 Not only does the 29 metre glass balustrade with Balcony’s proprietary Royal Chrome anodised handrail provide the low-maintenance safety barrier, it also adds the finishing touch at Iain and Jayne Twaddle’s rural self-build home near Newtown – much to their delight. 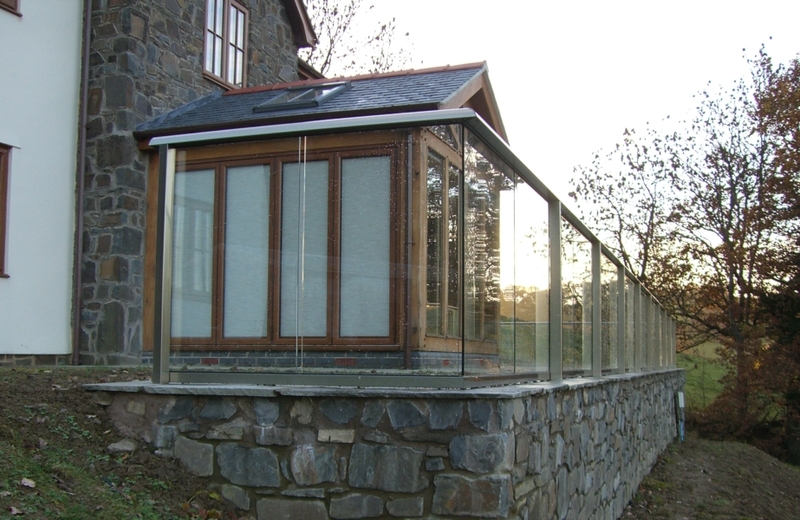 “Our sloping site presented quite a challenge as we needed to build a stone wall to create a flat patio area with conservatory,” said Jayne. 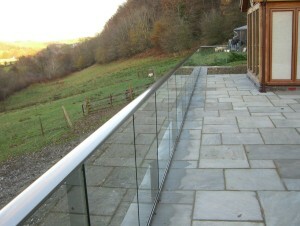 “Then we needed something to go on top of wall that did not destroy the country views and provided the required safety – there’s a drop of more than 1.5m from the top of wall down! 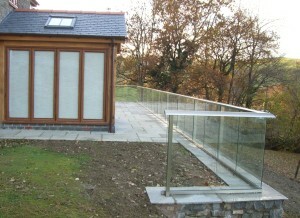 Having found Balcony Systems on the internet, the couple decided to visit their Lingfield office and see the products for themselves. 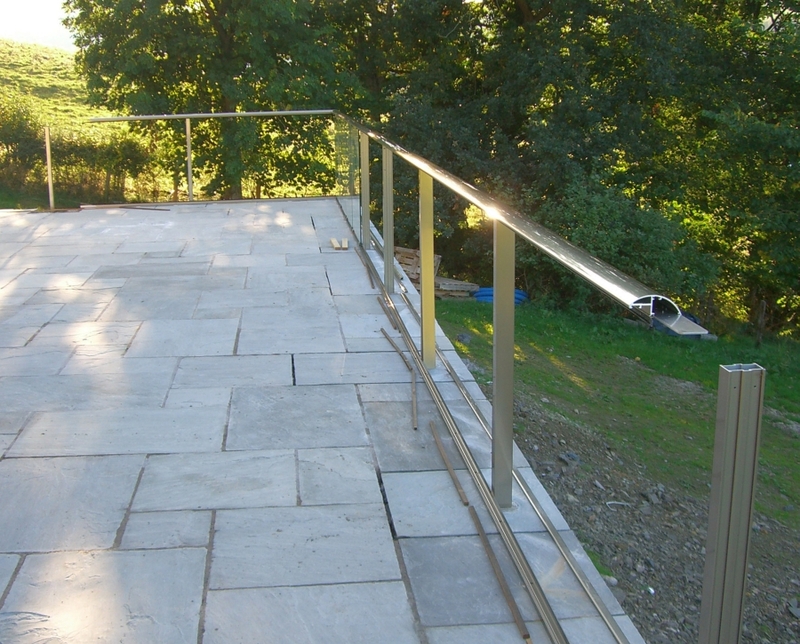 “Originally we had planned to use stone posts and rails, but changed our minds once we discovered Balcony Systems,” explained Iain. 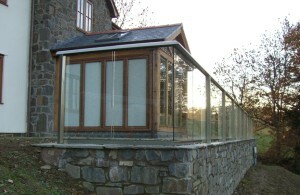 The couple’s visit also proved helpful for their installation team as they could pass on the shared information to them. 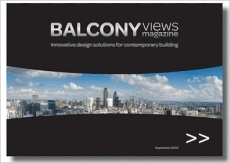 “Our builders, Davies, Roberts and Bowen, had not done anything like this before, so they watched the Balcony videos and read the material before starting. The couple had specified Balcony’s BalcoNano® self-cleaning glass coating on the panels, which dramatically reduces cleaning cycles. This durable protective coating covers the microscopically-pitted surface of glass, making it smooth and water-repellent. Dirt and other deposits cannot cling to the glass surface and either washes away easily or is simply cleaned with water and a cloth. This entry was posted in Projects on May 28, 2014 by Balcony Systems.